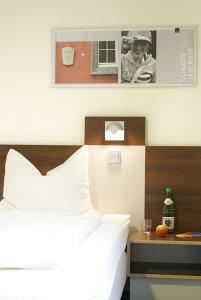 Just 50 metres from the River Rhine, this hostel is set in a striking building overlooking Düsseldorf’s Old Town. 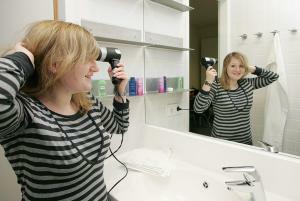 It has a 24-hour bistro and soundproofed rooms with private bathrooms. 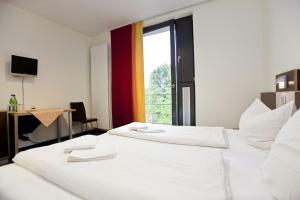 Jugendherberge Düsseldorf offers bright, modern rooms with large windows. Reception is open 24 hours a day, and WiFi is free of charge. 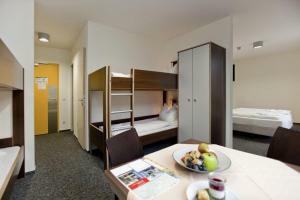 Some of the single and double rooms feature a TV. A large breakfast buffet is provided. Snacks and drinks are available in the light-flooded bistro. Guests can enjoy table tennis and table football in the games room. There is also an area with internet terminals. In warm weather, guests can relax on the terrace with barbecue area. 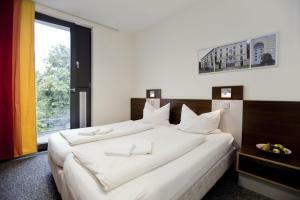 Jugendherberge Düsseldorf is a 10-minute walk from Luegplatz Underground Station. Trains run directly to Düsseldorf Central Station and the Königsallee shopping street from there.